We are excited to announce that your student may be eligible to attend Christ the King next year tuition free. Through the State of Illinois Tax Credit Scholarship Program, qualifying students at private schools can receive 100% of their tuition payments covered. All of the donations given to the Tax Credit Scholarship Program are handled through 3rd party Scholarship Granting Organizations. Therefore, families must apply through Scholarship Granting Organizations in order to be eligible. You should apply for the Tax Credit Scholarships even if you have not yet completed your CTK application. Filling out an scholarship application or receiving a scholarship does not guarantee admission to CTK, nor does it lock them into attending Christ the King. If the student qualifies for a scholarship and is accepted to a non-public school, the scholarship money will be distributed to the school your student attends. 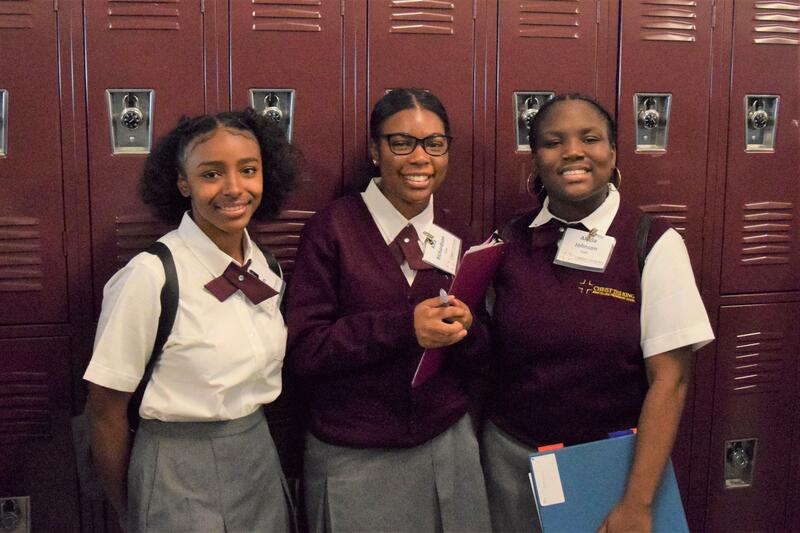 Christ the King students have scholarship money allotted for them in two Scholarship Granting Organizations: Big Shoulders Fund and Empower Illinois. Priority for each scholarship will be awarded on a first-come first-served basis, once the application is open to the families. It is incredibly important, and within your best interest, to fill out both applications as soon as the portal opens to have first priority in receiving free tuition next school year. - Big Shoulders Fund - application opens Tuesday, January 22nd at 8:00 AM. Contact Shea Stine with any questions or for assistance at sstine@ctkjesuit.org or (773) 261-7505, ext. 235. Families, with access to the documents needed, can fill out these applications online at home. For those who may need assistance, we will be hosting a workshop at the school on the days each application opens. We will also be providing guidance and computers for families who fill out their applications at CTK. In order to fill out the application, families will need to have electronic copies of three specific documents as well as provide general information about their student(s) and the family. We will be available to help make electronic copies of these documents at CTK if you attend the workshop, or bring the information in before the open date. If you will have multiple children in non-public schools next school year, you only need to fill out one family application. In order for you to be ready to fill out the application, we will be hosting office hours for our interested students and their families, see below and contact Shea Stine at sstine@ctkjesuit.org to schedule your meeting. Both Scholarship Granting Organizations have complete information on their websites along with frequently asked questions. If you are interested in learning more or applying, click here to fill out our questionnaire.